Alexandre Dumas is the author of some of the best-known works in Western literature. What little boy doesn’t have some concept of the three musketeers? Heck, The Three Musketeers has lent its name to a candy bar, and The Counte of Monte Cristo inspired the popular tv show Revenge (which I love). Dumas did not, however, create these stories from whole cloth. Instead, his novels were at least partially based on the exploits of his beloved father Alex Dumas, a man of African decent who went from slave in Saint-Domingue (Haiti) to general in the French army during the revolution. 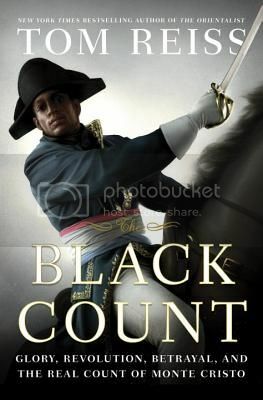 In The Black Count, Reiss gives a full picture of Alex’s life within the context of Alexandre’s adoration of his father and the socio-political changes undergoing France. As might be expected, Reiss has much to say about race and slavery in France and its colonial possessions. Alex Dumas had the rare opportunity to arrive in France at the height of freedom for persons of color in the years leading up to the French Revolution. Revolutionary France was even more egalitarian, as is evidenced by the fact that Dumas managed to rise to the rank of general; his son would be less lucky as France would become again more hostile towards people of color under Napoleon’s reign. In addition to shedding light on race relations in 18th century France, The Black Count is also the best account of the French Revolution I have ever read. Not only are the events of the Revolution laid out clearly and concisely, Reiss also addresses the root causes, including some I’ve never heard before. I now have a better understanding of the French Revolution, as well as Napoleon’s ascendancy than I ever have before. Best of all, Reiss kept The Black Count interesting, even when getting into the nitty gritty of battle campaigns against powers hostile to Revolutionary France. If you have even the vaguest interest in Alexandre Dumas, the French Revolution, Napoleon Bonaparte, or the history of slavery and race relations, The Black Count is a must-read. Highly recommended.